Volta, the Halifax-based innovation hub, is now one of Canada’s largest hubs for entrepreneurs and innovators. Volta tripled in size over the summer and will officially open its new 60,000 sq.ft. space at a community celebration this evening, Sept. 26. Located in the heart of downtown Halifax, Volta’s new space spans three floors of the Maritime Centre. 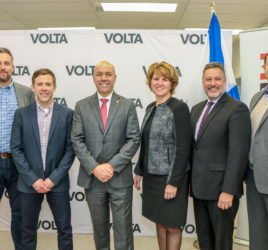 The expansion further positions Volta as a cornerstone of Halifax’s Innovation District and allows Volta to better serve Atlantic Canada’s startup community by providing more space for Resident companies and Innovation Outposts. It also offers a large multi-purpose event space, private meeting rooms and a larger co-working space. “Opening Volta’s new space is an incredible milestone for the innovation ecosystem in Atlantic Canada,” said Jesse Rodgers, CEO of Volta. “Giving entrepreneurs and innovators a home base in downtown Halifax will help generate new business, attract more investment, create innovative jobs and ultimately, drive economic growth,” said Rodgers. 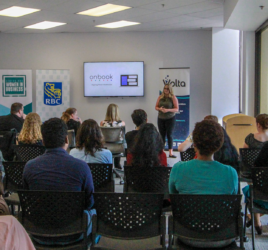 The physical expansion of Volta has been made possible by the generous support of the Government of Nova Scotia and the Invest Nova Scotia Fund, with additional programming and operational support provided through Innovacorp. The Government of Canada has also made significant contributions to Volta’s ongoing operations dating back to its inception. “Atlantic Canada’s innovation ecosystem is gaining traction. A significant core of high-growth innovation companies has come together here in Halifax to form the largest innovation hub in Canada outside of southwestern Ontario. 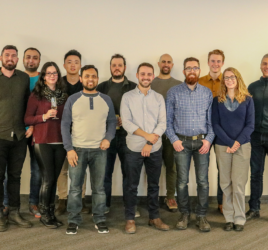 Together, we are celebrating that momentum,” said the Honourable Scott Brison, President of the Treasury Board and Minister of Digital Government, on behalf of the Honourable Navdeep Bains, Minister of Innovation, Science and Economic Development and Minister responsible for the Atlantic Canada Opportunities Agency. “The Government of Canada applauds the impressive results we are seeing from Volta Labs. Thirty-plus resident companies are energized by the freshness and density of this new innovation hub. And 37 graduate companies are advancing to new stages of growth,” said Andy Fillmore, Parliamentary Secretary to the Minister of Canadian Heritage and Multiculturalism and Member of Parliament for Halifax. Tonight’s event will feature food and drinks from local companies including Taste of Nova Scotia, Saltbox Brewing Co and Scanway. Musical performances and event registration are supported by Halifax-based startup and Volta Resident, Side Door – a booking platform that gives audiences instant access to intimate and unique events. Performances by local artists include Disco Stu, MAJE, T. Thomason.